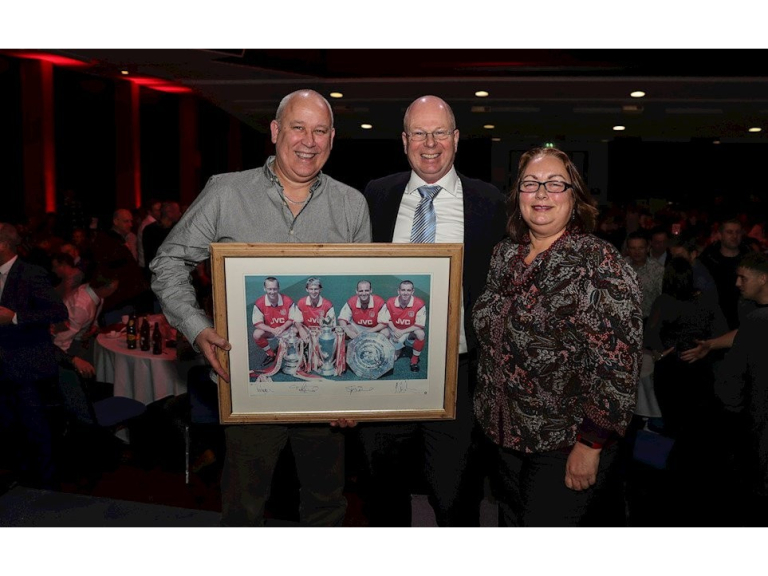 More than 400 people had a night to remember on Tuesday night as Exeter City hosted a night with Arsenal legends Paul Merson and Ray Parlour. 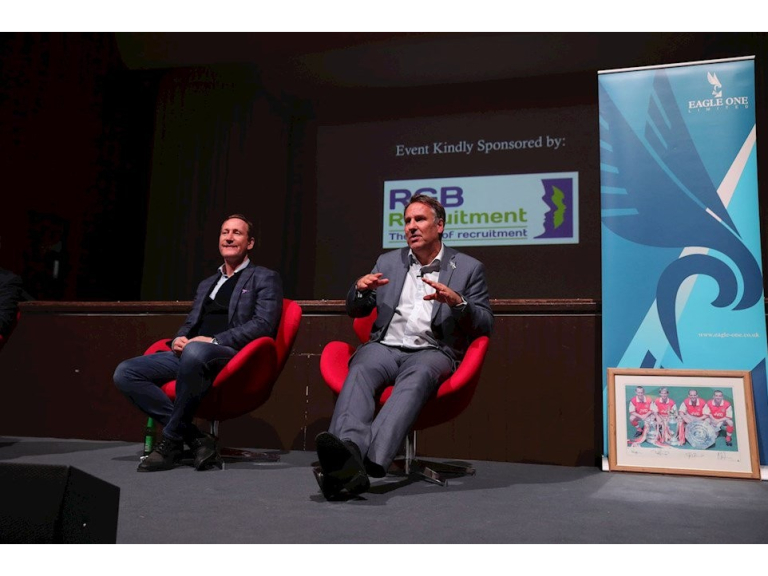 The event sponsored by RGB Recruitment Ltd and Eagle One, and held at the Great Hall at the University of Exeter, saw Merson and Parlour answer many questions from the packed out room about their days at Arsenal. Merson talked about the 1989 title-winning match against Liverpool, while Parlour recalled many humours stories including one about winding Martin Keown in the invincible season. There was also an auction and some fun games for the audience to participate in as well as two-course meal for all the guests. While some VIP guests got the chance to get their photos taken with Merson and Parlour in a reception with the duo before the event where they also enjoyed a glass of champagne on arrival. Exeter City will be hosting a similar event on Monday, April 16, when they host an evening with former Manchester United and England captain Bryan Robson. To book please email events@ecfc.co.uk or phone 01392 413957.